Hate having to throw out food that has gone bad? Or how about getting out of bed in the middle of the night hoping for a tall, cold glass of milk only to find that it's a few days past it's expiration date? Or even worse, while working on putting together a romantic dinner for your special someone, you find that one of your key ingredients has gone bad as well. When stored in a cool and dry place, this very useful ingredient has no expiration date and can stand the test of time. When they started pickling fruits and vegetables with vinegar in India 4,000 years ago to increase their food shelf life, the Indians knew what they were doing. Vinegar is a great all-around preservative, and could be pretty good as an ingredient in some of our favorite dishes too. 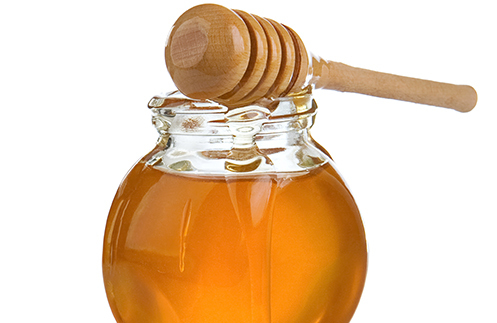 Whenever you pick up a bottle of honey, you're practically buying a lifetime's worth. No wonder the bees work so hard collecting this ingredient! When stored for a long time or left in a cold spot though, honey may harden, but with just a bit of heat, you should have it sticky, yummy and as good as new. Want to know what else you need in your pantry? Here's a simple guide to help you out!